Presenting a rare and unique Persian Ottoman Turkish Theme Miniature Painting. This painting is a superb hand-made art in Persian style. Not a print. It is executed on old manuscript paper with Islamic/Muslim scripts on front and back. 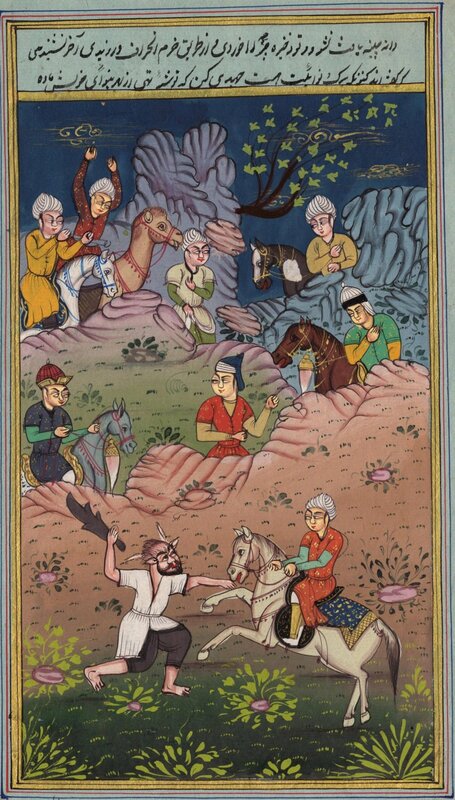 A Persian miniature is a richly detailed miniature painting which depicts various themes from the regions of the Middle East (Iran, Turkey – Ottoman etc). The art of miniature painting in Persia flourished from the 13th through the 16th centuries, and continues to this day, with several contemporary artists producing notable Persian miniatures. They are by their very nature rare and unique and beautiful. And you have a chance right now to own and experience a sample of this historical Persian artwork at a very affordable value. Buy it today.